Holy Mary, the Ivory Tower, we wish to be strong at the moment of temptation or persecution. Pray for us that we may have the needed courage. A TOWER is a fabric which rises higher and more conspicuous than other objects in its neighbourhood. Thus, when we say a man “towers” over his fellows, we mean to signify that they look small in comparison of him.This quality of greatness is instanced in the Blessed Virgin. 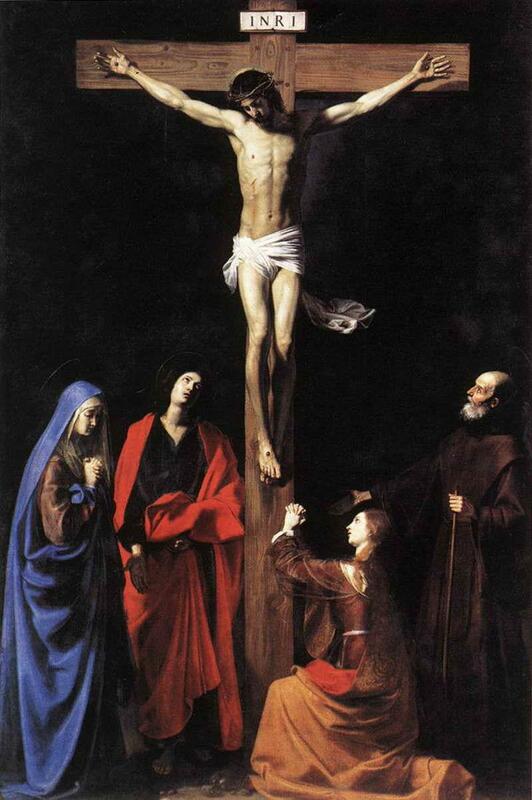 Though she suffered more keen and intimate anguish at our Lord’s Passion and Crucifixion than any of the Apostles by reason of her being His Mother, yet consider how much more noble she was amid her deep distress than they were. When our Lord underwent His agony, they slept for sorrow. They could not wrestle with their deep disappointment and despondency; they could not master it; it confused, numbed, and overcame their senses. And soon after, when St. Peter was asked by bystanders whether he was not one of our Lord’s disciples, he denied it. Nor was he alone in this cowardice. The Apostles, one and all, forsook our Lord and fled, though St. John returned. Nay, still further, they even lost faith in Him, and thought all the great expectations which He had raised in them had ended in a failure. How different this even from the brave conduct of St. Mary Magdalen! and still more from that of the Virgin Mother! It is expressly noted of her that she stood by the Cross. She did not grovel in the dust, but stood upright to receive the blows, the stabs, which the long Passion of her Son inflicted upon her every moment. In this magnanimity and generosity in suffering she is, as compared with the Apostles, fitly imaged as a Tower. But towers, it may be said, are huge, rough, heavy, obtrusive, graceless structures, for the purposes of war, not of peace; with nothing of the beautifulness, refinement, and finish which are conspicuous in Mary. It is true: therefore she is called the Tower of Ivory, to suggest to us, by the brightness, purity, and exquisiteness of that material, how transcendent is the loveliness and the gentleness of the Mother of God.